This atack will make your pokemon paralised. This atack will do 1 damage to Pichu Bros. 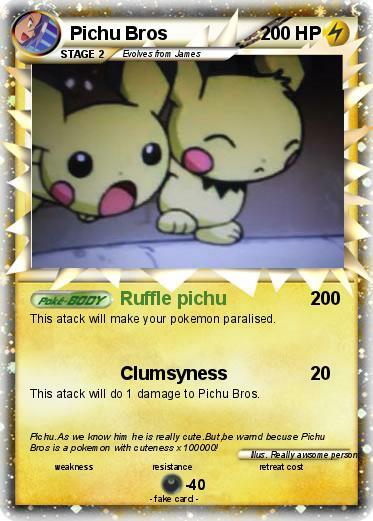 Comments : Pichu.As we know him he is really cute.But,be warnd becuse Pichu Bros is a pokemon with cuteness x100000!